If public health benefits from the containing and reducing spread of infection were to be calculated, it would turn out to be a considerable saving to the exchequer. Rajni Vaidyanath Salunke lives in the Kishkinda Nagar slum of Pune. 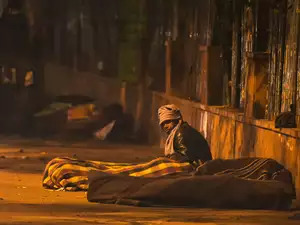 She is one of the over 14 lakh people who live in the 500 slum pockets of Pune and who make do with homes that have often been described as squalid, deprived, small, ill-ventilated spaces with no sanitation and as hotbeds of ill health and infections. Over the last year though, the pile of garbage is no longer sitting in the filthy container. 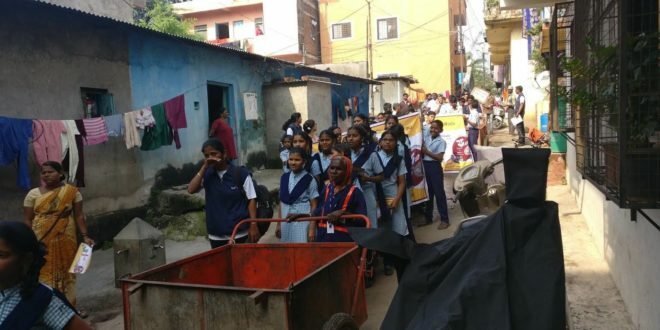 SWaCH, (Solid Waste collection and Handling services), a waste picker’s cooperative and the Pune Municipal Corporation (PMC) have started a ‘Door-to-door’ waste collection system. It enables better segregation at source and in turn better recycling and less landfilling. It also provides equitable services to all, contributing towards the health and sanitation of slum dwellers. Plus it ensures living wages to waste pickers who provide an essential service to the city in under difficult working conditions. Pune city has been distributed into administrative zones and wards for easier monitoring of waste, and her role is to ensure that the zones which are her responsibility are waste–aware. Mr Jayant Bhosekar, the PMC Assistant commissioner/Ward officer in Kothrud where recognised slums have been covered entirely, admits that it is a difficult task that requires a mix of education, awareness, cooperation, some strict measures and penalties. Sanitation Inspector Santosh Tatkar, who has been extremely efficient at removing all bins from the areas he supervises, says that the secret to success is having just one waste collection agency and one representative from the municipality who work in tandem. If requests and reasoning did not work, we named and shamed some people and told others we would do the same to all offenders. Today, every home hands over their waste to waste pickers who work in close concert with the ghantagadi trucks of the municipality and remove the waste. There should be no parallel systems. Even the most stubborn naysayers realise they have no recourse, and respond to the clear message from the municipal authorities. The PMC sanitation workers are also less burdened.” he says. Through its door-to-door collection waste management system, it has provided livelihoods to waste pickers, bettered recycling and ensured better public health.